Once my son discovered you blow candles out on a birthday cake, he would pretend blocks were candles, or stick things in the sand, sing happy birthday and then blow out his pretend candles. I think he really would have enjoyed one of these play birthday cakes or cupcakes! There are two birthday cake options. 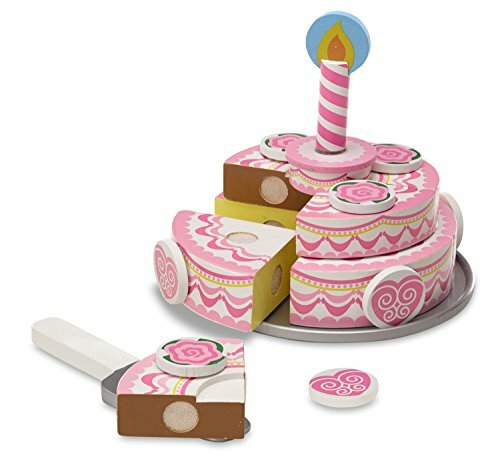 This pink-tiered cake is really cute and comes with one candle on top, eight slices and decorations that can be stuck onto the slices. 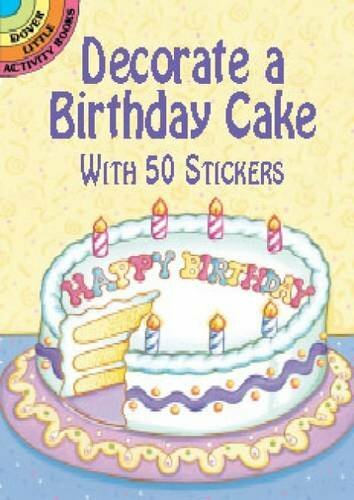 Or there is a single-layer white, blue, red, and yellow cake that comes with six slices, seven candles plus decorations. 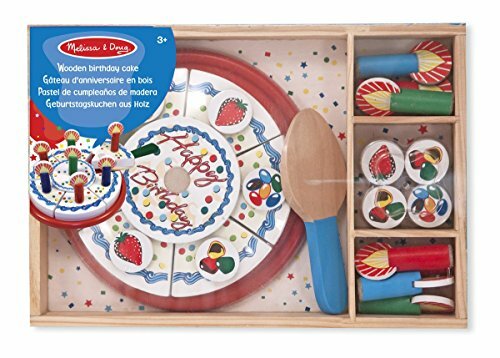 What I like about the single-layer version is that the child can place the number of candles they need for their own birthday on the cake (assuming they aren't older than 7). Both can be served to friends, family, or stuffed animals with the included wooden server. The manufacturer recommends these toys for children ages 3 and older, probably because of the smaller loose pieces. Depending upon the child, I would imagine a 2 year old would enjoy this, or could grow into it. I've also included the book, Where's the Party? 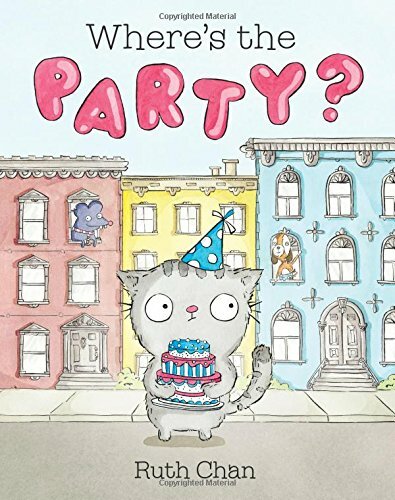 in this gift recommendation as it is a tale of a cat with a cake who wants to throw a party. 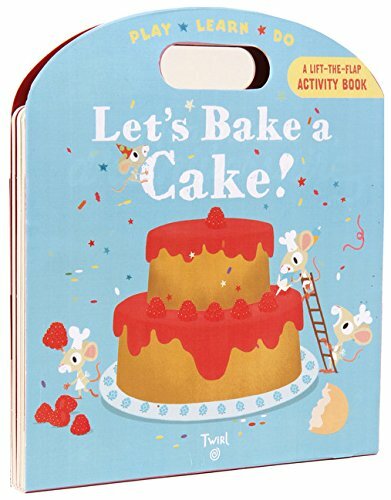 Or there is a really cute book, Let's Bake a Cake that has interactive elements to slide and move. It looks like a lot of fun, and I know my kids would love it! 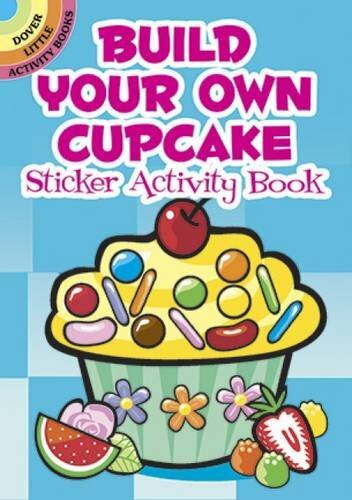 This book is good for the toddler and preschoolers. 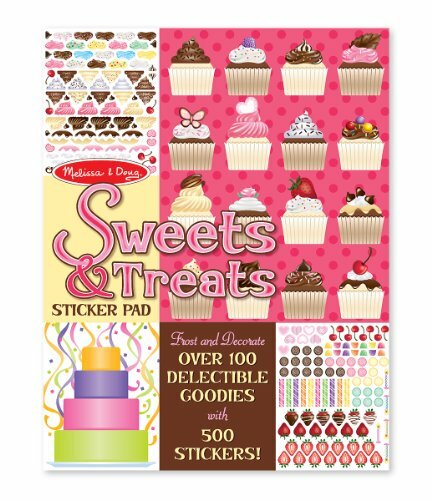 If you want to include a little something extra, or to give instead of the book, stickers are always useful for little hands and there are some sweets and cake-themed sticker books like the Melissa & Doug Sweets & Treats Sticker Pad or these tiny and inexpensive books like Decorate a Birthday Cake or Build Your Own Cupcake Sticker Books. Just be aware that the last two are very small books, but my son enjoyed using one of these on a flight last year. Free Valentine Printable: Kazoo are a Good Friend!